At the Museum of the Revolution, the 25 years of existence of this regiment was remembered. The Revolutionary Armed Forces (FAR) in the capital paid tribute to the first anti-aircraft artillery regiment of women, created by initiative of Vilma Espin, eternal president of the Cuban Women Federation (FMC), according to AIN. Jan 14, 2017Walter Lippmann Source :¿Por qué Obama decide 8 días antes lo que podía haber decidido 8 años antes? This is the front page of Juventud Rebelde newspaper, December 25, 2016. The lifting of the blockade may be one more among the surprises that Trump has already given us. 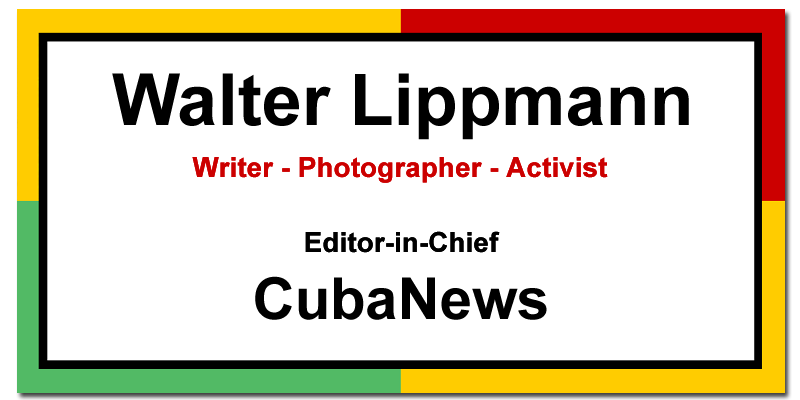 Nov 18, 2016Walter Lippmann Source :"Con Trump no va a haber marcha atrás en la relación entre EEUU y Cuba"
Trump did not win. It was Hillary Clinton and the Democrats who lost. The High Cost of Roller-Skating! It would be VERY expensive to make roller skating a big sport in Cuba. From the Cienfuegos PCC weekly.